Click “Add candidate” in the stack “Drafts”. 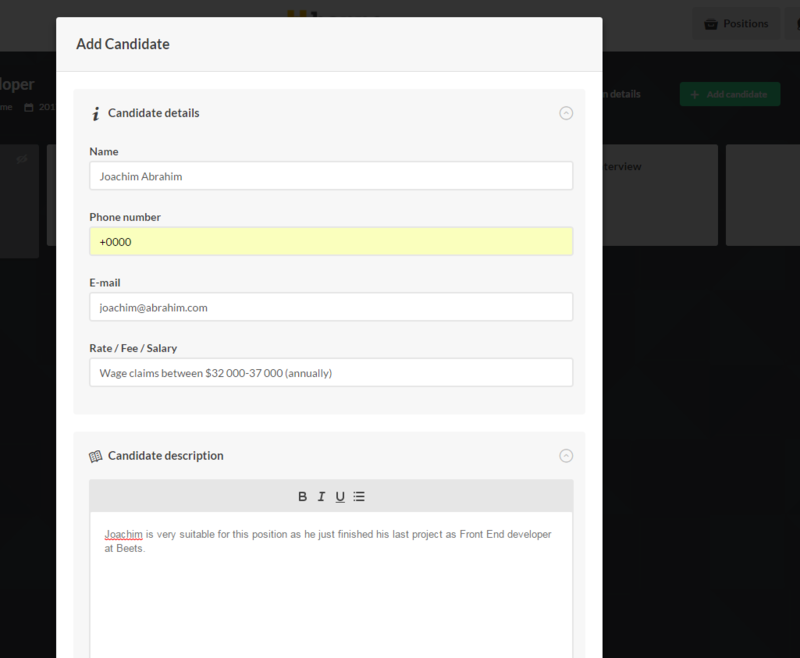 Fill in relevant candidate information and click “Add candidate”. Your candidate will show up in the stack called “Drafts”.